1. 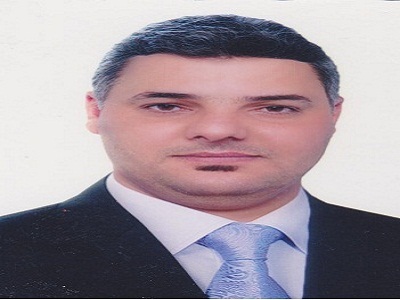 Future Strategies and the possibility of their Application in the Environment of Iraqi Banks �Iraq 2005.(M.A. Thesis ). 2. Reflections of High-Performance Work Systems in Work Outcomes According to Human Resource Flexibility practices, Iraq .2012. (Ph.D. Dissertation). 3. Using of Management information systems in decision making, Journal of managerial studies -University of Basra , No.1 ,Vol. 4, 2006. 4. Using Future Strategies for Speculation , Al-Qadisiya Journal of Economies and Administration , University Al-Qadisiya, Iraq ,No.3, 2007. 5. E-commerce between theory and Practice, Journal of Al-Ghari, University of Kufa- Iraq, No.1, Vol.2 , 2006. 6. Analysis the relationships between information Technology and Intellectual capital , The Iraqi Journal, University of Kerbela No.16, 2007. 7. Analysis of the effect of the interactive relationship between the cultural orientation and the leadership support in the behavior of the teaching staff's work, The International Scientific Conference, Erpil-Kuridstan , Iraq, /2007. 8. The role the knowledge management in Re-engineering , Journal of Economic Sciences , University of Basra , Iraq No.2, Vol.21 , 2008. 9. Using of benchmarking in University performance evaluation, International Conference on higher education in Islamic World ,International Islamic University Malaysia , Kuala lumpur, Malaysia , 2008. 10. The role the knowledge management in achieving superior performance , journal of administration and economics, University of Baghdad , Iraq, No.15, Vol.56, 2009. 11. The Effect of the Organizational Trust in Strategic Performance By Using Balance Scorecard Model .The International Scientific Conference � University of Philadelphia-Amman-Jordan - 2009. 12. Effect the organizational trust in total Quality Management, ,International Conference on higher education in Iraq �Kurdistan Region Erbil -Iraq 2011. 13. The relationship between the talent management Strategy and High Performance Work Systems, , journal of administration and economics College, University of mustansryai, Iraq, No.15, 2011. 14. Proposed Conceptual Model for public Organizations according to the Accountability and Transparency, Scientific Conference, University of mustansryai, Iraq, 2011. 15. Using of High performance Work Systems practices as approach for achieve the Total Quality Management in Higher Education, The International Scientific Conference, University of Kufa, Iraq, 2011. 16. Psychological Capital: Behavioral Insight for Study of Spirituality at the Workplace , A Research acceptance publish, , journal of administration and economics , University of Baghdad. 2012. 17. The Organizational Agility : A Strategic Approach into the Promoting process of Job Engagement for Employee's , Journal of Al-Ghari, University of Kufa- Iraq, No.5, Vol.24 , 2012. 18. Human Resource cost in behavioral perspective, , journal of administration and economics College, University of Baghdad, Iraq, 2012. 19. Principles of Learning Organizations and It`s Role to achieve Group Work, journal of administration and economics College, University of Baghdad, Iraq, 2013.